Samir Nasri: Will he stay or will he go? There have been some contrasting reports this morning on Samir Nasri and whether he will stay at Manchester City this season or leave. 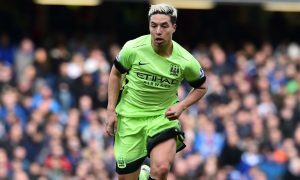 After the press reported that an overweight Samir Nasri was being made to train alone by Pep Guardiola, it was assumed that the Frenchman had played his last game for Manchester City. Besiktas have been heavily linked with a loan move for Nasri, while Sevilla have also thrown their hat into the ring. Doubts have been raised however, about whether Nasri will leave at all, after Guardiola used him as a second half substitute against West Ham United on Sunday. There have been heavily contrasting reports this morning from Sport Witness, who believe that he will stay, and The Mirror, who believe that he will go. Sport Witness have reported claims made by Turkish media outlet Lig TV, who state that Nasri wants to stay and work hard after he was convinced by Guardiola’s promise of a regular place in his match-day squads. The Mirror believe that Nasri still wants to leave due to an assumed lack of playing time, and would prefer a move to Sevilla rather than Besiktas. This has since been echoed by Paul Hirst (The Times). With just 36 hours left of the transfer window, we will soon find out whether Nasri’s future lies in Manchester, or elsewhere.